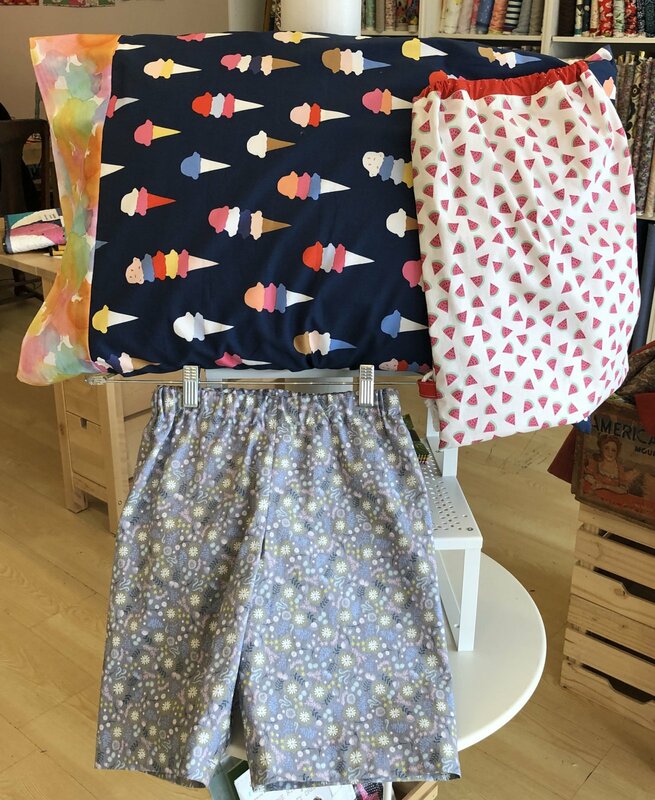 Boys and Girls (ages 8-12) will get creative in this summer camp and make their own pillowcases, cinch sack backpacks and shorts. The camp will have them choosing their own fabrics and learning how to use a sewing machine. By the end of the week they will have items ready to take with them on any adventure they go on this summer. Kids should have a sewing machine with a regular sewing foot. If your child does not have a machine, there are a limited number of machines available in the shop, please call in advance to reserve. We will have a snack and relax break, please send a water bottle with your child and let us know of any allergies.